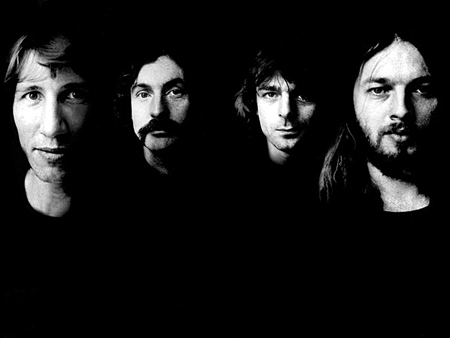 AFTER THE Beatles, there are few English bands that have cast as large or as long a shadow, or wielded greater influence on all areas of rock music than Pink Floyd. Any modern day psychedelic act or songwriters like John Fruscante and Paul Weller acknowledge their debt to Floyd’s original leader Syd Barrett. The Roger Waters led Floyd has been equally influential. Their sonic experiments; ambient, textured moodscape music; and the searing pessimism of Water’s lyrics paved the way for The Orb, Aphex Twin, and above all, Radiohead - the true heirs and successors to Pink Floyd. It is no exaggeration to say that OK Computer was The Wall for the 1990s. Floyd remain hugely popular and every home owns a copy of Dark Side Of The Moon and nearly as many own the debut, The Piper At The Gates Of Dawn. Live8 aside, the band is unlikely to ever tour again, so it’s fallen to a group of Irish musicians to ensure that Irish Floyd fans are given the chance to hear the music we love live. The Irish Pink Floyd return to Galway to play the Róisín Dubh on Sunday at 9pm and an aural and visual treat is in store. Featuring a line up of two guitarists, vocalists, saxophone player, drummer, and keyboardist, the band also recreate the visual Floyd experience through screening of surreal films to accompany the songs as well as special lighting effects. Casual Floyd fans will enjoy hearing ‘Another Brick In The Wall Pt 2’ and ‘Money’. Die-hard fans can look forward to favourite album tracks and often overlooked gems. At a previous Róisín Dubh show they performed ‘Dogs’ - the epic of epic tracks on the magnificent 1977 album Animals. They also do a nice tribute to Syd Barrett.